This entry was posted in quilts and tagged London stairs block. Beautiful colors! 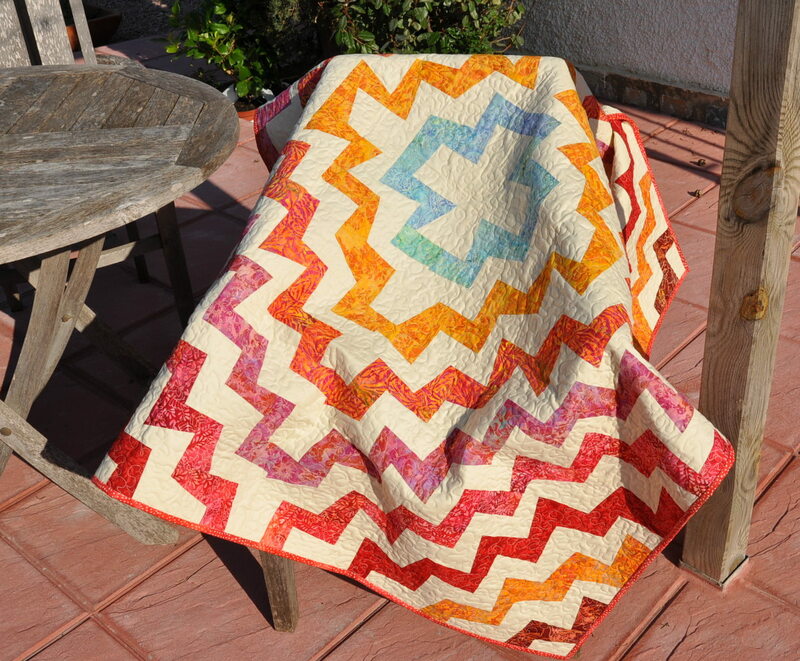 I love to see modern quilting made in Spain. 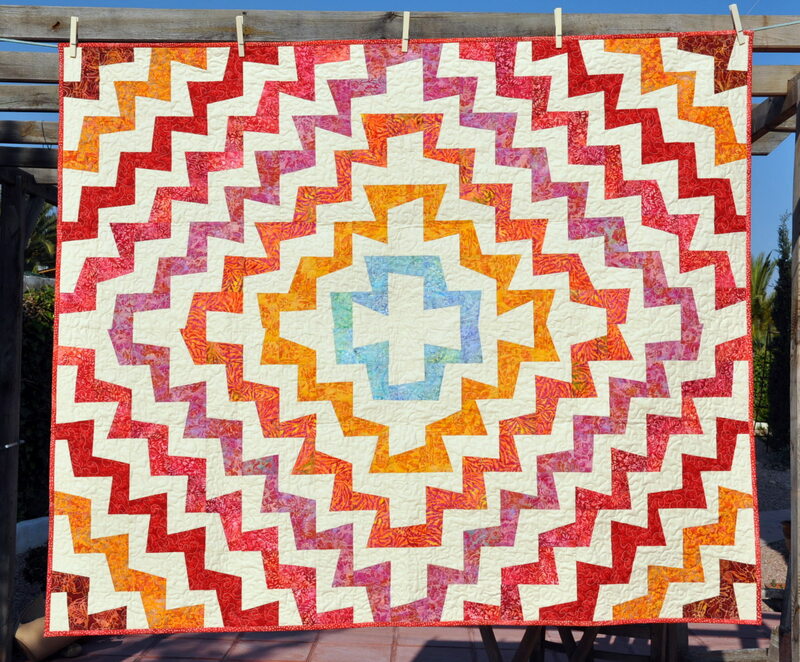 Did you do the quilting on a home sewing machine? Hello, thanks for your comment. 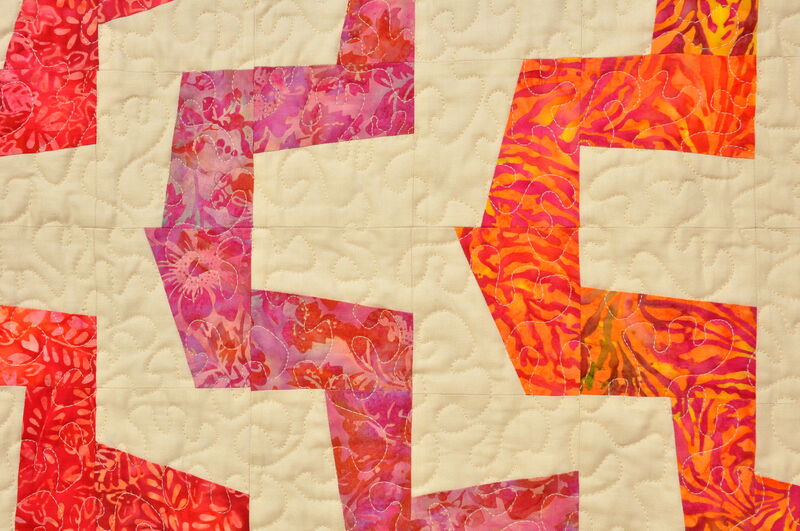 Yes, I did everything on a home sewing machine: piecing, quilting and binding. Oh, how could you possibly sell it? It is even better to see the complete design. Thank you for sharing your ideas 🙂 P.S. My thread has arrived so I will be quilting again this weekend!